The author of these transcriptions is not known. 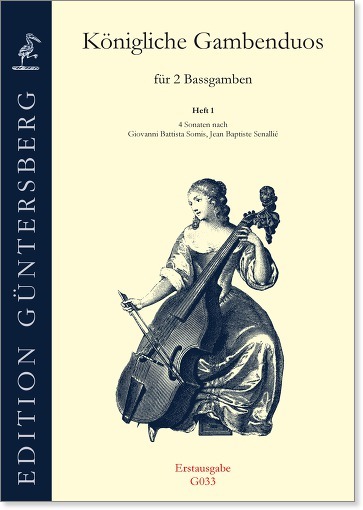 Probably this collection was written with the help of the viol virtuoso L. C. Hesse, who was the personal gamba instructor of the Prince of Prussia (who later became King Friedrich Wilhelm II). With the exception of volumes 2 and 3 the transcribed originals are violin Sonatas with b.c. The first part is notated in treble clef (as in the original) as well as in alto clef. These Sonatas are very well Suited for instructional purposes. Those parts which are notated in treble clef can also be played on the treble viol. 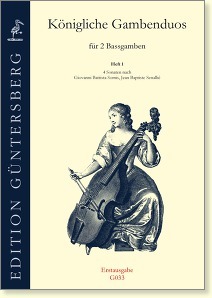 The duets by Boismortier (vol 2 and 3) can also be played on cellos, both parts are notated in bass clef.